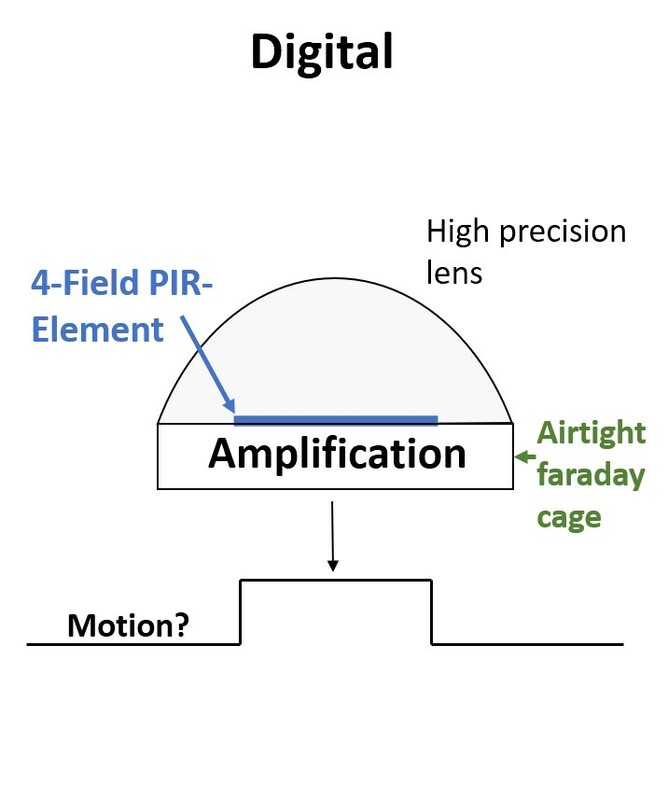 Technology: What is the difference between analogue and digital PIR sensors? Most occupancy sensors use Passive InfraRed (PIR) technology for detection. Other technologies are possible as well but less well suited for most applications. 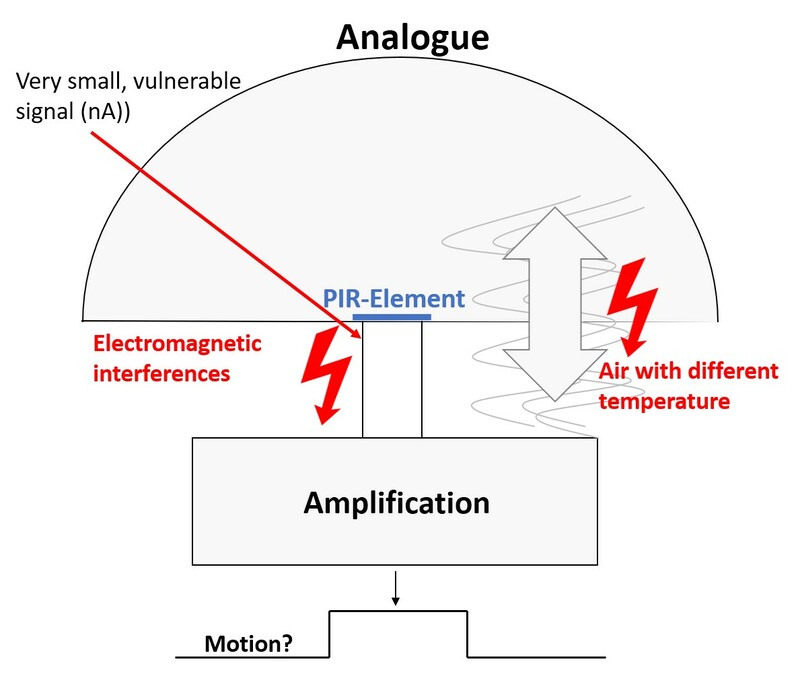 However, there are 2 classes of PIR sensors. Most available motion sensors use analogue PIR technology. This results in low sensitivity and large sensors. In contrast, EPV occupancy sensors exclusively feature digital PIR technology. This enables occupancy sensors which are much smaller, more sensitive and immune to false triggerings. Large devices Much smaller devices possible. EPV offers only digital occupany sensors.